Ayad, S.; Posey, V.; Das, A.; Montgomery, J.M. ; Hanson, K.Enantioenrichment of racemic BINOL by way of excited state proton transfer. Chem. Commun. 2019, Advance Article. Warzecha, E.; Celis-Barros, C.; Dilbeck, T.; Hanson, K.; Albrecht-Schmitt, T. E. High-Pressure Studies of Cesium Uranyl Chloride. Adv. Funct. Mater. 2018, 58, 228-233. Lian, X.; Wang, X.; Ling, Y.; Lochner, E.; Tan, L.; Zhou, Y.; Ma, B.; Hanson, K. Gao, H. Light Emitting Diodes Based on Inorganic Composite Halide Perovskites. Adv. Funct. Mater. 2018, Early View. Omotola, O.O. ; Braun, A.J. ; Robb, A.J. ; Salpage, S.R. ; Zhou, Y.; Hanson, K. Influence of Dye-Coordinated Metal Ions on Electron Transfer Dynamics at Dye–Semiconductor Interfaces. ACS Appl. Energy Mater. 2019, ASAP. Banerjee, T.; Hill, S.P. ; Hermosilla-Palacios, M.; Piercy, B.D. ; Haney, J.; Casale, B.; DePrince, A.E. ; Losego, M.D. ; Kleiman, V.D. ; Hanson, K. Diphenylisobenzofuran Bound to Nanocrystalline Metal Oxides: Excimer Formation, Singlet Fission, Electron Injection, and Low Energy Sensitization. J. Phys. Chem. C 2018, 122, 2847-28490. White, F.D. ; Gaiser, A.N. ; Warzecha, E.; Sperling, J.; Celis-Barros, C.; Salpage, S.R. ; Zhou, Y.; Dilbeck, T.; Bretton, A.; Meeker, D.; Hanson, K.; Albrecht-Schmitt, T.A. Examination of Structure and Bonding in 10-Coordinate Europium and Americium Terpyridyl Complexes. Inorg. Chem. 2018, 57, 12969-12975. Dilbeck, T.; Hanson, K. Molecular Photon Upconversion Solar Cells Using Multilayer Assemblies: Progress and Prospects. J. Phys. Chem. Lett. 2018, 9, 5810–5821. Zhou, Y.; Ayad, S.; Ruchlin, C.; Posey, V.; Hill, S.P. ; Wu, Q.; Hanson, K.Examining the role of acceptor molecule structure in self-assembled bilayers: surface loading, stability, energy transfer, and upconverted emission. Phys. Chem. Chem. Phys. 2018, 20, 20513-20524. Salpage, S.R. ; Lanzetta, R.C. ; Zhou, Y.; Wang, J.C.; Hanson, K. Wavelength Selective Separation of Metal Ions Using Electroactive Ligands. Chem. Commun. 2018, 54, 7507-7510. Wang, J.C.; Ogunsolu, O.O. ; Sykora, M.; Hanson, K. Elucidating the Role of the Metal Linking Ion on the Excited State Dynamics of Self-Assembled Bilayers. J. Phys. Chem. C 2018, 122, 9835-9842. Ogunsolu, O.O. ; Wang, J.C.; Hanson, K. Learning by Doing: Writing a Review Article in a Graduate Level Writing Class. J. Chem. Educ. 2018, 5, 810-816. Zhou, C.; Haoran, L.; Yu, T.; Yuan, Z; Clark, R.; Chen, B.; van de Burgt, L. J.; Wang, J.; Zhou, Y. Hanson, K.; Meisner, Z.; Neu, J.; Besara, T.; Siegrist, T.; Lambers, E.; Djurovich, P.; Ma, B.Luminescent zero-dimensional organic metal halide hybrids with near-unity quantum efficiency. Chem. Sci. 2018, 9, 586-593. Wang, J. C.; Hill, S. P.; Dilbeck, T.;Ogunsolu, O. O.; Banerjee, T.; Hanson, K. Multimolecular assemblies on high surface area metal oxides and their role in interfacial energy and electron transfer. Chem. Soc. Rev. 2018, 47, 104-148. Zhou, Y.; Hill, S.P. 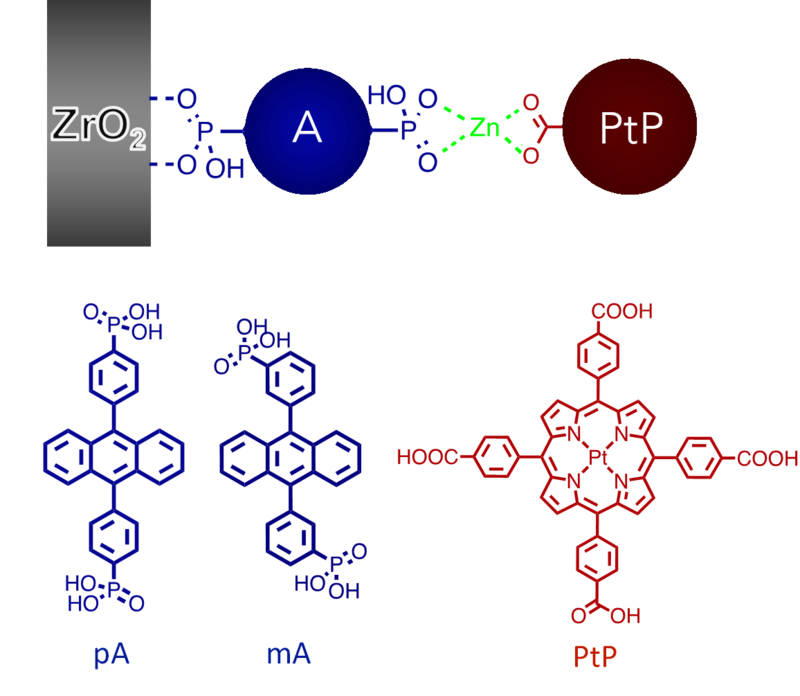 ; Hanson, K. Influence of Meta- and Para-phosphonated Diphenylanthracene on Photon Upconversion in Self-Assembled Bilayers. J.Photonics Energy 2017, 8, 022004. Evoniuk, C. J.; Gomes, G.; Hill, S. P.; Satoshi, F.; Hanson, K.; Alabugin, I. V. Coupling N-H deprotonation, C-H activation and oxidation: metal-free C(sp3)-H aminations with unprotected anilines.J. Am. Chem. Soc., 2017, 139, 16210-16221. Dilbeck, T.; Wang, J.C.; Zhou, Y.; Olsson, A.; Sykora, M.; Hanson, K. Elucidating the Energy and Electron Transfer Dynamics of Photon Upconversion in Self-Assembled Bilayers. J. Phys. Chem. C 2017, 121, 19690-19698. Ogunsolu, O.O. ; Wang, J.C.; Hanson, K. Increasing Open Circuit Voltage of Dye-sensitized Solar Cells Using Metal Ion Coordination. Inorg. Chem. 2017, 18, 11168-11175. Wang, J.C.; Violette, K.; Ogunsolu, O.O. ; Cekli, S.; Lambers, E.; Hanson, K. Self-Assembled Bilayers on Nanocrystalline Metal Oxides: Exploring the Non-Innocent Nature of the Linking Ions. Langmuir 2017, 33, 9609-9619. Hill, S.P. ; Hanson, K. Harnessing Molecular Photon Upconversion in a Solar Cell at Sub-Solar Irradiance: Role of the Redox Mediator. J. Am. Chem. Soc. 2017, 139, 10988-10991. Silver, M. A.; Cary, S. K.; Garza, A. J.; Baumbach, R. E.; Arico, A. A.; Galmin, G. A.; Chen, Kuan-Wen; Johnson, J. A.; Wang, J.C.; Clark, R. J.; Chemey, A.; Eaton, T. M.; Marsh, M. L.; Parker, T. G.; Seidler, K.; Galley, S. S.; van de Burgt, L.; Gray, A. L.; Hobart, D. E.; Hanson, K.; Van Cleve, S. M.; Gendron, F.; Autschbach, J.; Scuseria, G. E.; Maron, L.; Speldrich, M.; Kogerler, P.; Celis-Barros, C.; Paez-Hernandez, D.; Arratia-Perez, R.; Albrecht-Schmitt, T. E. Departure from a Spherically Symmetric Ground State in a System with a Half-filled Shell: The Case Example of Berkelium(IV) Iodate. J. Am. Chem. Soc. 2017, 139, 13361-13375. 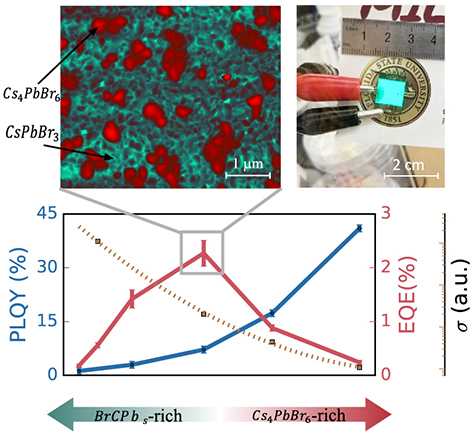 Ling, Y.; Tan, L.; Wang, X.; Zhou, Y.; Xin, Y.; Ma, B.; Hanson, K.; Gao, H. Composite Perovskites of Cesium Lead Bromide for Optimized Photoluminescence.J. Phys. Chem. Lett. 2017, 8, 3266-3271. 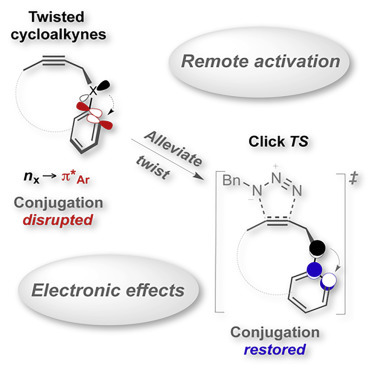 Harris, T.; Gomes, G. P.; Ayad, S.; Clark, R. J.; Lobodin, V. V.; Tuscan, M. A.; Hanson, K.; Alabugin, I. V.Twisted chiral cyclodecynes and control of click reactivity with remote stereoelectronic interactions.Chem, 2017, 3, 629-640. Logan. M. W.; Ayad, S.; Adamson, J. D.; Dilbeck, T.; Hanson, K.; Uribe-Romo, F. J. Systematic Variation of the Optical Bandgap in Titanium Based Isoreticular Metal-Organic Frameworks for Photocatalytic Reduction of CO2 under Blue Light. J. Mater. Chem. A 2017, 5, 11854-11863. Dilbeck, T.; Hill, S.P. ; Hanson, K. Harnessing Molecular Photon Upconversion at Sub-Solar Irradiance Using Dual Sensitized Self-Assembled Trilayers. J. Mater. Chem. A 2017, 5, 11652-11660. Wang, J.C.; Violette, K.; Ogunsolu, O.O. ; Hanson, K. Metal Ion Mediated Electron Transfer at Dye-Semiconductor Interfaces. Phys. Chem. Chem. Phys. 2017, 19, 2679-2682. Longstreet, A.R. ; Chandler, R.R. ; Banerjee, T.; Miller, L.Z. ; Hanson, K.; McQuade, D.T. 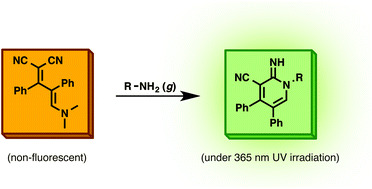 Ylidenemalononitrile Enamines as Fluorescent “Turn-On” Probes for Volatile Primary Amines. Photochem. Photobiol. Sci. 2017, 16, 455-458. Ogunsolu, O.O. ; Murphy, I.A. ; Wang, J.C.; Das, A.; Hanson, K. Energy and Electron Transfer Cascade in Self-Assembled Bilayer Dye-Sensitized Solar Cells. ACS Appl. Mater. Interfaces 2016, 8, 28633-28640. Das, A.; Ayad, S.; Hanson, K. Enantioselective protonation of silyl enol ether using excited state proton transfer dyes. Org. Lett. 2016, 18, 5416-5419. Ling, Y.; Tian, Y.; Wang, X.; Wang, J. C.; Knox, J.; Perez-Orive, F.; Du, Y.; Tan, L.; Hanson, K.; Ma, B.; Gao, H. Enhanced Optical and Electrical Properties of Polymer-Assisted All-Inorganic Perovskites for Light Emitting Diodes. Adv. Mater 2016, 28, 8983-8989. Silver, M.A., Cary, S.K. ; Arico, A.A.; Baumbach, R.E. ; Wang, J.C.; Johnson, J.A. ; Polinski, M.J.; Chemey, A.; Liu, G.; Chen, K.; VanCleve, S.M. ; Marsh, M.L. ; Eaton, T.M. ; Luckey, M.; Urban, M.; van de Burgt, B.; Gray, A.L. ; Hobart, D.E. ; Hanson, K.; Maron, L.; Braley, J.; Albrecht-Schmitt, T.E. Characterization of Berkelium(III) Dipicolinate and Borate Compounds in Solution and the Solid State. Science 2016, 353, aaf3762. Salpage, S.R. ; Paul, A.; Som, B.; Banerjee, T.; Hanson, K.; Smith, M.D. ; Vannucci, A.K. ; Shimizu, L.S. Structural, electrochemical and photophysical properties of an exocyclic di-ruthenium complex and its application as a photosensitizer. Dalton Trans. 2016, 45, 9601-9607. Evoniuk, C. J.; Hill, S. P.; Hanson, K.; Alabugin, I. V. Double C–H amination by consecutive SET oxidations. Chem. Commun. 2016, 52, 7138-7141. Hill, S.P. ; Dilbeck, T.; Baduell, E.; Hanson, K.; Integrated Photon Upconversion Solar Cell via Molecular Self-Assembled Bilayers. ACS Energy Lett. 2016, 1, 3-8. Bade, S. G. R.; Li, J.; Shan, X.; Ling, Y.; Dilbeck, T.; Besara, T.; Geske, T.; Gao, H.; Ma, B.; Hanson, K.; Siegrist, T.; Xu, C.; Yu, A. 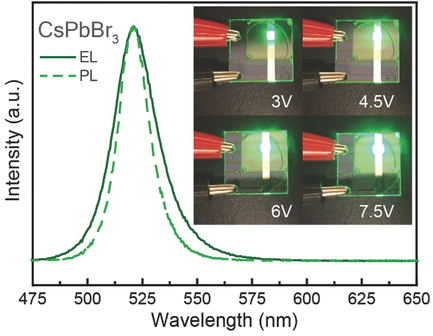 Fully Printed Halide Perovskite Light-Emitting Diodes with Silver Nanowire Electrodes. ACS Nano 2016, 10, 1795-1801. Das, A.; Banerjee, T.; Hanson, K.Protonation of Silylenol Ether via Excited State Proton Transfer Catalysis. Chem. Commun. 2015, 52, 1350-1353. Cary, S.; Silver, M.; Liu, G.; Wang, J.; Bogart, J.; Stritzinger, J.; Arico, A.; Hanson, K.; Schelter, E. J.; Albrecht-Schmitt, T.Spontaneous Partitioning of Californium from Curium: Curious Cases from the Crystallization of Curium Coordination Complexes. Inorg. Chem. 2015, 54, 11399-11404. Ogunsolu, O.O. 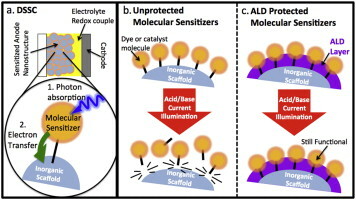 ; Wang, J.C.; Hanson, K. Inhibiting Interfacial Recombination Events in Dye-Sensitizer Solar Cells via Self-Assembled Bilayers. ACS Appl. Mater. Interfaces 2015, 7, 27730-27734. Hill, S.P. ; Banerjee, T.; Dilbeck, T.; Hanson, K. Photon Upconversion and Photocurrent Generation via Self-Assembly at Hybrid Interfaces. J. Phys. Chem. Lett. 2015, 6, 4510-4517. Ling, Y.; Yuan, Z.; Tian, Y.; Wang, X.; Wang, J. C.; Xin, Y.; Hanson, K.; Ma, B.; Gao, H. Bright Light-Emitting Diodes Based on Organometal Halide Perovskite Nanoplatelets. Adv. Mater. 2015, 28, 305-311. Mohamed, R.K.; Mondal, S.; Gold, B.; Evoniuk, C.J. ; Banerjee, T.; Hanson, K.; Alabugin, Igor V. Alkenes as Alkyne Equivalents in Radical Cascades Terminated by Fragmentations: Overcoming Stereoelectronic Restrictions on Ring Expansions for the Preparation of Expanded Polyaromatics. J. Am. Chem. Soc. 2015, 137, 6335-6349. Wang, J.C.; Murphy, I.A. ; Hanson, K. Modulating Electron Transfer Dynamics at Dye-Semiconductor Interfaces via Self-Assembled Bilayers. J. Phys. Chem. C 2015, 119, 3502-3508. Pati, K.; Gomes, G.; Harris, T.; Hughes, A.; Phan, Hoa; Banerjee, T.; Hanson, K.; Alabugin, I. Traceless Directing Groups in Radical Cascades: From Oligoalkynes to Fused Helicenes without Tethered Initiators. J. Am. Chem. Soc. 2015, 137, 1165-1180. Longstreet, A.; Jo, M.; Chandler, R.; Hanson, K.; Zhan, N.; Hrudka, J.; Mattoussi, H.; Shatruk, M.; McQuade, D. T. Ylidenemalononitrile enamines as fluorescent “turn-on” indicators for primary amines. J. Am. Chem. Soc. 2014, 136, 15493–15496. Losego, M. D.; Hanson, K. Stabilizing molecular sensitizers in aqueous environs. Nano Energy 2013, 2, 1067-1069. Hyde, J.T. ; Hanson, K.; Vannucci, A.K. ; Lapides, A.M.; Alibabaei, L.; Norris, M.R. ; Meyer, T.J.; Harrison, D.P. Electrochemical Instability of Phosphonate-Derivatized, Ruthenium(III) Polypyridyl Complexes on Metal Oxide Surfaces. ACS Appl. Mater. Interfaces 2015, 7, 9554-9562. Nayak, A.; Knauf, R.; Hanson, K.; Alibabaei, L.; Concepcion, J.; Ashford, D.; Dempsey, J.; Meyer, T.J. Synthesis and photophysical characterization of porphyrin and porphyrin-Ru(II) polypyridyl chromophore-catalyst assemblies on mesoporous metal oxides. Chem. Sci. 2014, 5, 3115-3119. Bettis, S. E.; Hanson, K.; Li, W.; Gish, M.; Concepcion, J.; Fang, Z.; Meyer, T. J., Papanikolas, J. M. Photophysical Characterization of Chromophore/water Oxidation Catalyst Containing Layer-by-layer Assembly onNanocrystalline TiO2 Using Ultrafast Spectroscopy. J. Phys. Chem. A 2014, 118, 10301-10308. Ashford, D. L.; Lapides, A. M.; Vannucci, A. K.; Hanson, K.; Torelli, D. A.; Harrison, D. P.; Templeton, J. L.; Meter, T. J. Water Oxidation by an Electropolymerized Catalyst on Derivatized Mesoporous Metal Oxide Electrodes. J. Am. Chem. Soc. 2014, 136, 6578-6581. 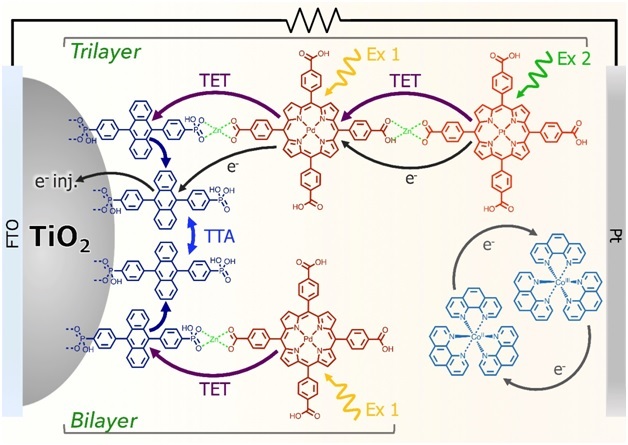 Kim, D. H.; Losego, M. D.; Hanson, K.; Alibabaei, L.; Lee, K.; Meyer, T. J.; Parsons, G. N. Stabilizing chromophore binding on TiO2 for long-term stability of dye-sensitized solar cells using multicomponent atomic layer deposition. Phys. Chem. Chem. Phys. 2014, 16, 8615-8622. Lapides, A. M.; Ashford, D. L.; Hanson, K.; Torelli, D. A.; Templeton, J. L.; Meyer, T. J. Stabilization of a Ruthenium(II) Polypyridyl Dye on Nanocrystalline TiO2 by an Electropolymerized Overlayer J. Am. Chem. Soc. 2013, 135, 15450-15458. Hanson, K.; Losego, M. D.; Kalanyan, B.; Parsons, G. N.; Meyer, T. J. Stabilizing Small Molecules on Metal Oxide Surfaces Using Atomic Layer Deposition. Nano Lett. 2013, 13, 4802-4809. Song, W; Ito, A.; Binstead, R. A.; Hanson, K.; Luo, H.; Brennaman, M. K.; Concepcion, J. J.; Meyer, T. J. Accumulation of Multiple Oxidative Equivalents at a Single Site by Cross-Surface Electron Transfer on TiO2. J. Am. Chem. Soc. 2013, 135, 11587-11594. Peng, Q.; Kalanyan, B.; Hoertz, P. G.; Miller, A.; Kim, D. H.; Hanson, K.; Alibabaei, L.; Liu, J.; Meyer, T. J.; Parsons, G. N.; Glass, J. T. Solution-Processed Antimony Doped Tin Oxide Colloids Film Enabled High-Performance TiO2 Photoanodes for Water Splitting. Nano Lett. 2013, 13, 1481-1488. Ma, D.; Bettis, S. E.; Hanson, K.; Alibabaei, L.; Minikova, M.; Papoian, G. A.; Meyer, T. J.; Papanikolas, J. M.; Waters, M. L. Interfacial Energy Conversion in RuII Polypyridyl-Derivatized Oligoproline Assemblies on TiO2. J. Am. Chem. Soc. 2013, 135, 5250-5253. Hanson, K.; Wilger, D. J.; Jones, S. T.; Harrison, D. P.; Bettis, S. E.; Luo, H.; Papanikolas, J. M.; Waters, M. L.; Meyer, T. J. Electron Transfer Dynamics of Peptide-Derivatized RuII-polypyridyl Complexes on Nanocrystalline Metal Oxide Films. Pept. Sci. 2013, 100, 25-37. Giokas, P. G.; Miller, S. A.; Hanson, K.; Norris, M. R.; Glasson, C. R. K.; Concepcion, J. J.; Bettis, S. E.; Papanikolas, J. M.; Meyer, T. J.; Moran, A. M. Spectroscopy and Dynamics of Phosphonated Ruthenium Complexes on TiO2. J. Phys. Chem. C 2013, 117, 812-824. Luo, H.; Song, W.; Hoertz, P. G.; Hanson, K.; Ghosh, R.; Rangan, S.; Brennaman, M. K.; Concepcion, J. J.; Binstead, R. A.; Lopez, R.; Meyer, T. J. A Sensitized Nb2O5 Photoanode for Hydrogen Production in a Dye-Sensitized Photoelectrosynthesis Cell. Chem. Mater. 2013, 25, 122-131. 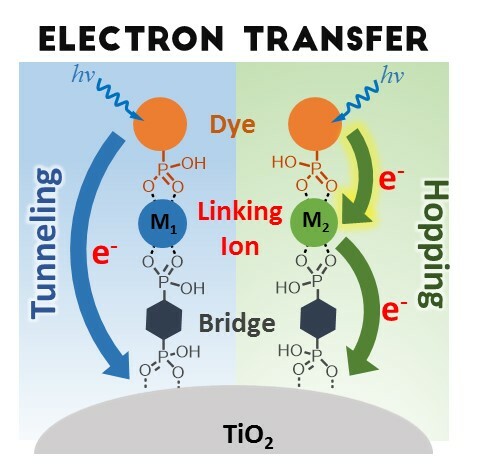 Song, W.; Luo, H.; Hanson, K.; Concepcion, J. J.; Brennaman, M. K.; Meyer, T. J. Visualization of Cation Diffusion at the TiO2 Interface in Dye Sensitized Photoelectrosynthesis Cells (DSPEC). Energy Environ. Sci. 2013, 6, 1240-1248. Hanson, K.; Torelli, D. A.; Vannuccci, A. K.; Brennaman, M. K.; Luo, H.; Alibabaei, L.; Song, W.; Ashford, D. L.; Norris, M. R.; Glasson C. R. K.; Concepcion, J. J.; Meyer, T. J. Self-assembled Bilayer Films of Ru(II) Polypyridyl Complexes by Layer-by-Layer Deposition on Nanostructured Metal Oxides. Angew. Chem. Int. Ed. 2012, 51, 12782-12785. Hanson, K.; Ashford, D. L.; Concepcion, J. J.; Binstead, R. A.; Luo, H.; Glasson C. R. K.; Templeton, J. L.; Meyer, T. J. Sensitized Photo-Decomposition of Organic Bis-Phosphonates By Singlet Oxygen. J. Am. Chem. Soc. 2012, 134, 16975-16978. Hanson, K.; Losego, M. D.; Kalanyan, B.; Ashford, D. L.; Parsons, G. N.; Meyer, T. J. Stabilization of [Ru(bpy)2(4,4'-(PO3H2)bpy)]2+ on TiO2 with Atomic Layer Deposition of Al2O3. Chem. Mater. 2012, 25, 3-5. Hanson, K.; Hanson, D. A. Le Chatelier’s Principle: A Newtonian-based Analogy That Makes Sense. Chem. Edu. 2012, 17, 184-186. Ghosh, R.; Hara, Y.; Alibabaei, L.; Hanson, K.; Rangan, S.; Bartynski, R.; Meyer, T. J.; Lopez, R. Increasing Photocurrents in Dye-Sensitized Solar Cells with Tantalum Doped Titanium Oxide Photoanodes Obtained by Laser Ablation. ACS Appl. Mater. Interfaces 2012, 2012, 4, 4566-4570. Song, W.; Chen, Z.; Glasson, C. R. K.; Hanson, K.; Luo, H.; Norris, M. R.; Ashford, D. L.; Concepcion, J. J.; Brennaman, M. K.; Meyer, T. J. Interfacial Dynamics and Solar Fuel Formation in Dye-Sensitized Photoelectrosynthesis Cells. ChemPhysChem 2012, 13, 2882-2890. Hanson, K.; Brennaman, M. K.; Ito, A.; Luo, H.; Song, W.; Parker, K. A.; Ghosh, R.; Norris, M. R.; Glasson, C. R. K.; Concepcion, J. J.; Lopez, R.; Meyer, T. J. Structure-Property Relationships in Phosphonate-Derivatized, RuII Polypyridyl Dyes on Metal Oxide Surfaces in an Aqueous Environment. J. Phys. Chem. C 2012, 116, 14837-14847. Hanson, K.; Roskop, L.; Patel, N.; Griffe, L.; Djurovich, P. I.; Gordon, M. S.; Thompson, M. E. Photophysical and Electrochemical Properties of 1,3-Bis(2-pyridylimino)isoindolate Platinum(II) Derivatives. Dalton Trans. 2012, 41, 8648-8659. Hanson, K.; Brennaman, M. K.; Luo, H.; Glasson, C. R. K.; Concepcion, J. J.; Song, W.; Meyer, T. J. Photostability of Phosphonate-Derivatized, RuII Polypyridyl Complexes on Metal Oxide Surfaces. ACS Appl. Mater. Interfaces 2012, 4, 1462-1469. Diev, V. V.; Schlenker, C. W.; Hanson, K.; Zhong, Q.; Zimmerman, J. D.; Forrest, S. R.; Thompson, M. E. Porphyrins Fused with Unactivated Polycyclic Aromatic Hydrocarbons. J. Org. Chem. 2012, 77, 143-159. Ghosh, R.; Brennaman, M. K.; Concepcion, J. J.; Hanson, K.; Kumbhar, A. S.; Meyer, T. J.; Lopez, R. Efficient High Surface Area Vertically Aligned Metal Oxide Nanostructures for Dye-Sensitized Photoanodes by Pulsed Laser Deposition. Proc. SPIE 2011, 8109, 81090U/1-81090U/6. 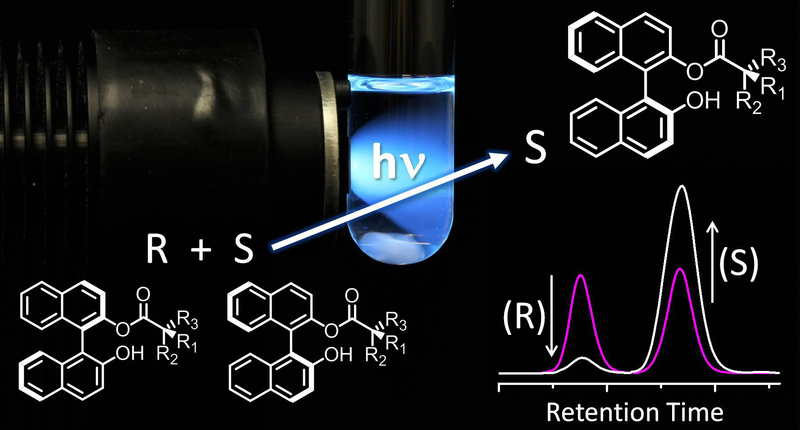 Song, W.; Glasson, C. R. K.; Luo, H.; Hanson, K.; Brennaman, M. K.; Concepcion, J. J.; Meyer, T. J. Photoinduced Stepwise Oxidative Activation of a Chromophore-Catalyst Assembly on TiO2. J. Phys. Chem. Lett. 2011, 2, 1808-1813. Zimmerman, J. D.; Yu, E. K.; Diev, V. V.; Hanson, K.; Thompson, M. E.; Forrest, S. R. Use of Additives in Porphyrin-Tape/C60 Near-Infrared Photodetectors. Org. Electron. 2011, 12, 869-873. Song, W.; Brennaman, M. K.; Concepcion, J. J.; Jurss, J. W.; Hoertz, P. G.; Luo, H.; Chen, C.; Hanson, K.; Meyer, T. J. Interfacial Electron Transfer Dynamics for [Ru(bpy)2(4,4'-(PO3H2)2bpy)]2+-Sensitized TiO2 in a Dye-Sensitized Photoelectrosynthesis Cell: Factors Influencing Efficiency and Dynamics. J. Phys. Chem. C 2011, 115, 7081-7091. Hanson, K.; Patel, N.; Whited, M. T.; Djurovich, P. I.; Thompson, M. E. Substituted 1,3-Bis(imino)isoindole Diols: A New Class of Proton Transfer Dyes. Org. Lett. 2011, 13, 1598-1601. Hanson, K.; Roskop, L.; Djurovich, P. I.; Zahariev, F.; Gordon, M. S; Thompson M. E. A Paradigm for Blue- or Red-Shifted Absorption of Small Molecules Depending on the Site of π-Extension. J. Am. Chem. Soc. 2010, 132, 16247-16255. Diev, V. V.; Hanson, K.; Zimmerman, J. D.; Forrest, S. R.; Thompson, M. E. Fused Pyrene-Diporphyrins: Shifting Near-Infrared Absorption to 1.5 μm and Beyond. Angew. Chemie. Int. Ed. 2010, 49, 5523-5526. 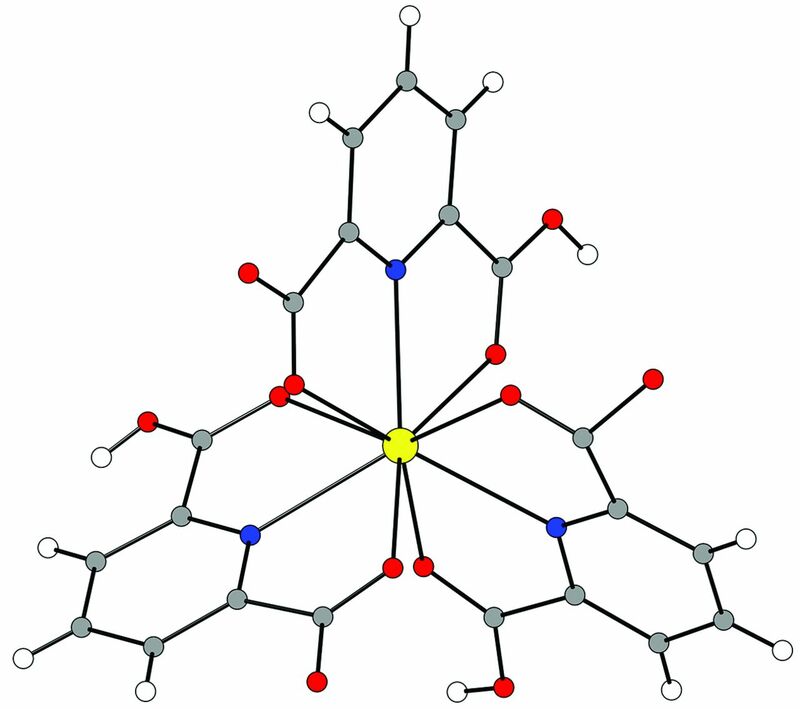 Hanson, K.; Tamayo, A.; Diev, V.; Djurovich, P. I.; Thompson, M. E. Efficient Dipyrrin-Centered Phosphorescence at Room Temperature from Bis-Cyclometalated Iridium(III) Dipyrrinato Complexes. Inorg. Chem. 2010, 49, 6077-6084. Zimmerman, J. D.; Diev, V. V.; Hanson, K.; Lunt, R. R.; Yu, E. K.; Thompson, M. E.; Forrest, S. R. Porphyrin-Tape/C60 Organic Photodetectors with 6.5% External Quantum Efficiency in the Near Infrared. Adv. Mater. 2010, 2010, 22, 2780-2783. 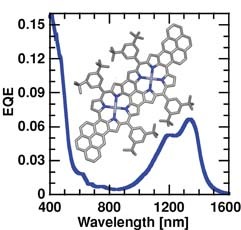 Sun, Y.; Borek, C.; Hanson, K.; Djurovich, P. I.; Thompson, M. E.; Brooks, J.; Brown, J.; Forrest, S. R. Photophysics of Pt-Porphyrin Electrophosphorescent Devices emitting in the Near Infrared. Appl. Phys. Lett. 2007, 90, 213503/1-213503/3. Borek, C.; Hanson, K.; Djurovich, P. I.; Thompson, M. E.; Aznavour, K.; Bau, R.; Sun, Y.; Forrest, S. R.; Brooks, J.; Michalski, L.; Brown, J. Highly Efficient, Near-Infrared Electrophosphorescence from a Pt-Metalloporphyrin Complex. Angew. Chemie. Int. Ed. 2007 46, 1109-1112. Hanson, K.; Calin, N.; Bugaris, D.; Scancella, M.; Sevov, S. Reversible Repositioning of Zinc Atoms in Single Crystals of a Zinc Polycarboxylate with an Open-Framework Structure. J. Am. Chem. Soc. 2004, 126, 10502-10503. Hanson, K.; Ayad, S.; Posey, V. "Atropisomers and Methods of Altering Enantiomeric Excess " U.S. Pat. Appl. 15/854,885 (2017). Hanson, K.; Hill, S.; Dilbeck, T. "Molecular Photon Upconversion Using Organic-Inorganic Hybrid Interfaces" U.S. Pat. Appl. Publ. (2016), WO 2016039976. Hanson, K.; Wang, J. C.; Banerjee, T.; Ogunsolu, O.O. "Modulating Electron Transfer Dynamics at Hybrid Interfaces via Self-Assembled Bilayers" U.S. Pat. Appl. Publ. (2016), WO 2016018609. Hanson, K.; Meyer, T. J.; Parsons, G. N.; Losego, M. D.; Kalanyan, B.; Kim, D. H. “Assemblies and methods of stabilization” PCT Int. Appl. (2014), WO 2014081921 A1 20140530. Hanson, K.; Meyer, T.J. “Molecular assemblies and multilayer films for photocurrent and catalysis” PCT Int. Appl. (2013), WO 2013142595 A1 20130926. Thompson, M. E.; Hanson, K.; Djurovich, P. “Fluorescent isoindoline dyes” U.S. Pat. Appl. Publ. (2012), US 20120153266 A1 20120621. 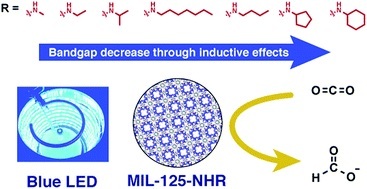 Forrest, S. R.; Zimmerman, J. D.; Thompson, M. E.; Diev, V.; Hanson, K. “Fusing porphyrins with polycyclic aromatic hydrocarbons and heterocycles for optoelectronic applications” U.S. Pat. Appl. Publ. (2012), US 20120001155 A1 20120105. PCT Int. Appl. (2012), WO 2012012117 A2 20120126. Forrest, S. R.; Zimmerman, J. D.; Thompson, M. E.; Diev, V.; Hanson, K. “Visible/NIR photodetectors” U.S. Pat. Appl. Publ. (2011), US 20110168984 A1 20110714. PCT Int. Appl. (2011), WO 2011028610 A1 20110310. Thompson, M. E.; Hanson, K.; Djurovich, P.; Griffe, L. "Arylimino-isoindoline complexes for use in organic light emitting diodes.” U.S. Pat. Appl. Publ. (2009), US 20090243468 A1 20091001. PCT Int. Appl. (2009), WO 2009052268 A1 20090423. Thompson, M. E.; Borek, C.; Hanson, K.; Djurovich, P.; Sun, Y.; Forrest, S. “Near-infrared emitting organic compounds and organic devices using the same” U.S. Pat. Appl. Publ. (2008), US 20080061681 A1 20080313. PCT Int. Appl. (2008), WO 2008094187 A2 20080807.